The Connacht man is the only recognised Irish kicker to have broken the 100-point mark at the midway point of the season (116 points), while his 80.4pc success rate when kicking at goal means he currently trumps Joey Carbery (78pc), Billy Burns (76.5pc), John Cooney (73.9pc), JJ Hanrahan (73.9pc) and Ross Byrne (71.1pc) - all of whom trail the almost perfect Sexton, who has missed only two kicks all season for Leinster (94.3pc) in all competitions. Carty was man of the match in the narrow loss to Leinster and the 26-year-old also impressed in last weekend's victory against Ulster. Head coach Andy Friend has been seriously impressed with the Athlone native. "Jack continues to impress with his vision in the game and his little touches," said Friend. 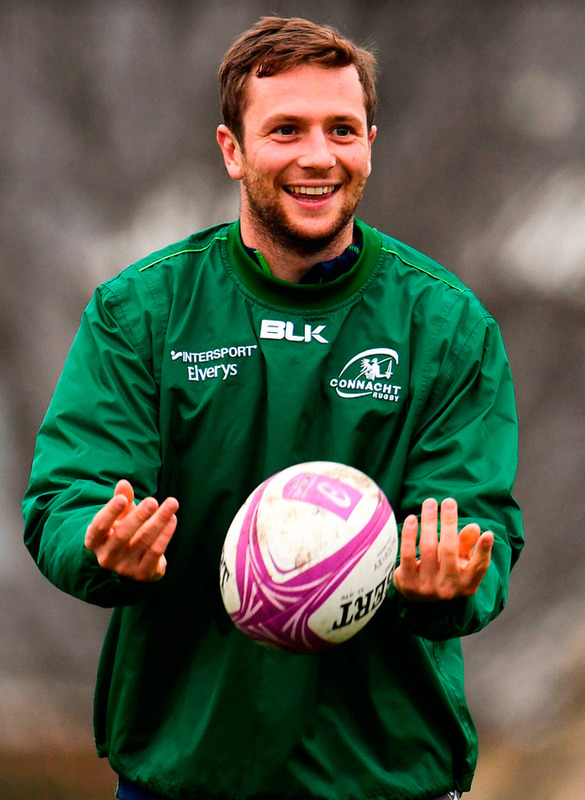 "I had seen a bit of Jack play (before I took charge of Connacht). You could see he was a quality footballer. "I remember watching that Leinster game from last year where he put that nice little kick in over the top to Tiernan (O'Halloran), Tiernan caught it and passed inside. I could see Jacko was quality." While Carty has not officially been called into an Ireland squad under Joe Schmidt, he has featured in Carton House training camps and he has also worked with Irish kicking coach Richie Murphy in recent months. According to Friend, he has not asked Carty to change his game since he arrived, with the Connacht coach believing that his first-choice out-half has flourished simply thanks to hard work. "There are two things with our environment. One is real clarity in what we are trying to do, and the other thing we are really focusing on this year is we will never play a perfect game so don't worry about the errors you make. "We don't want the errors ideally but you are going to make them." Friend will be hoping that Carty can dictate the game as Connacht strive to back up their win over Ulster by defeating Munster at a packed Sportsground on Saturday.